Take in the great ocean views from the covered porch of this well-maintained, oceanfront 3 bedroom 2 Bath Oceanside West condo, located on the popular west end of the island, known for its great beach. Recent updates in kitchen that is fully equipped with microwave, dishwasher, and washer and dryer in unit. New flooring and sofas in living room. 3 cable TVs, DVD, Stereo/CD player and i-pod docking station, WiFi. All the bed and bath linens provided with beds made upon your arrival! Ceiling fans throughout. 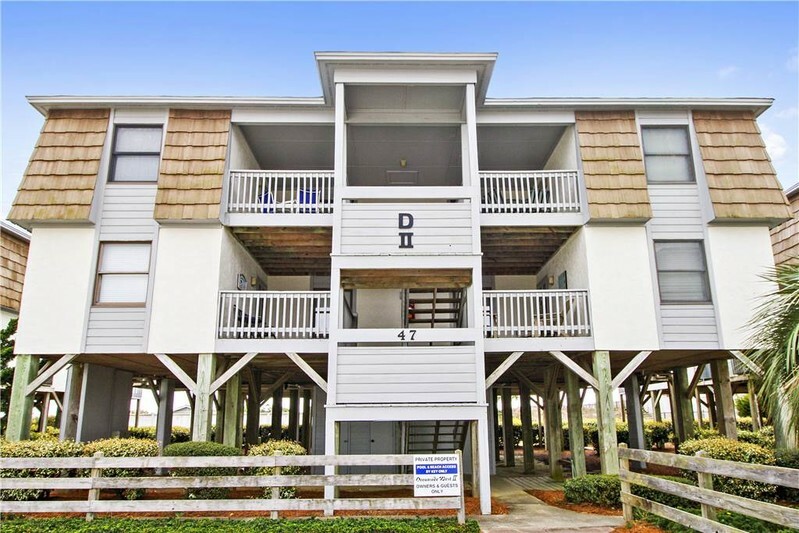 Refresh in the oceanfront pool that has private walkway over the dunes to the beach. Non-smoking. Bedding: King, Queen, and 2 singles. Sleeps 6. A rollaway is available so condo can sleep 7 people comfortably.